I am, generally, an organized person. It may not seem like it if you were to look at my desk, but I always know exactly where things are (likely because I’m an only child and there was no one around to move something once I put it somewhere), I rarely lose things and I can pretty much remember details of where I need to be without writing them down. I say all of this to tell you that I rarely do more than glance at information, because I rely (overly so) on my ability to absorb it quickly and remember it. Fortunately for me, I show up where I’m supposed to be 9 times out of 10, so I’ve had little need to reconsider my methods. But that 10th time? That 10th time will always be when it truly truly counts. The biggest “slip up” I’ve made was when I was supposed to get sworn in to the Illinois bar. Weeks prior to the swearing in, the bar people sent a letter listing where you needed to go based on where in Illinois you lived. For Chicago, it was McCormick Place on XYZ day at 2:30pm. Done. I alerted relatives and friends and threw the paper into a pile. The appointed day arrived and I put on my new lawyer suit and went into work. I told the partners that I’d have to leave around 2pm and wouldn’t be coming back for the day since a celebration at a Cuban restaurant was to follow. I vaguely wondered why none of my classmates were around that morning, but I realized that they were probably smart and took the whole day off for this big event. 2pm rolls around and I pull out the letter so I could get the name of the room where the swearing in was supposed to be held. And what do I see? The Chicago ceremony had started at 11:30. My heart skipped a beat as I realized that I had just missed getting sworn in and I had no idea what that meant (these bar people are no joke. To even take the exam you have to jump through so many hoops that I figured that they’d punish me in some way for missing it). Tears, frantic phone calls and a speeding taxi ride followed. I arrived at McCormick Place to see the janitors sweeping up left over flower petals and locking the doors to the auditorium. My well-wishers arrived to find me sitting on the floor crying with nothing to show for the day but that crumpled letter. You’ll be happy to know that I was able to be sworn in by a judge a few weeks later, but, while I still believe in my abilities, few people trust me to tell them where they need to be and when any longer. This story has nothing to do with food other than to lead into another example of how I get something in my head and completely think it’s right and there’s no need for me to double check or think about it again. Basically, I ended up making sweet potato muffins when, up to the minute I was about to put the sweet potato in the microwave, I thought I was making pumpkin muffins. 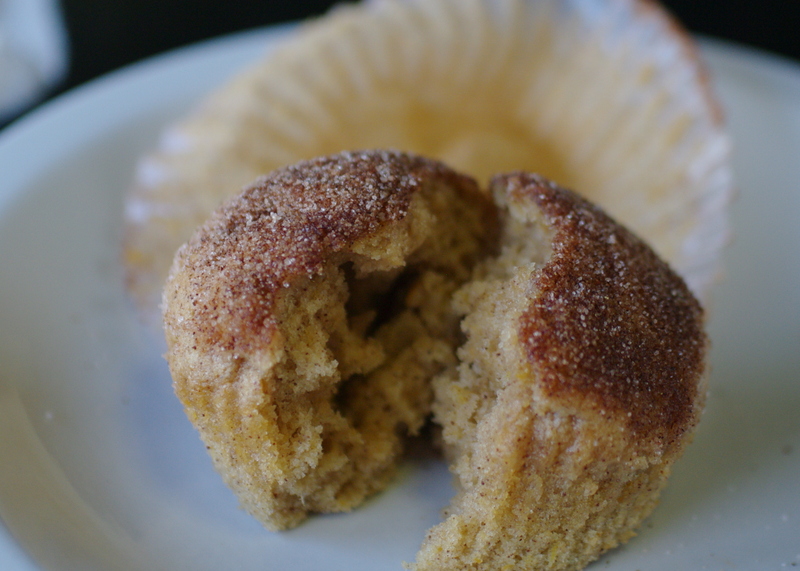 A coworker had given me a recipe for–the way I remembered it–pumpkin muffins a few years ago and given the autumn weather, I thought they’d be a happy treat. I could even see the picture of the muffins in my head from the printout she gave me, but couldn’t find the recipe online and she didn’t remember it (likely because we were searching for a completely different recipe). I finally found it this weekend when I cleaned out a folder full of dashed cooking dreams, with magazine recipes dating back to 1996. 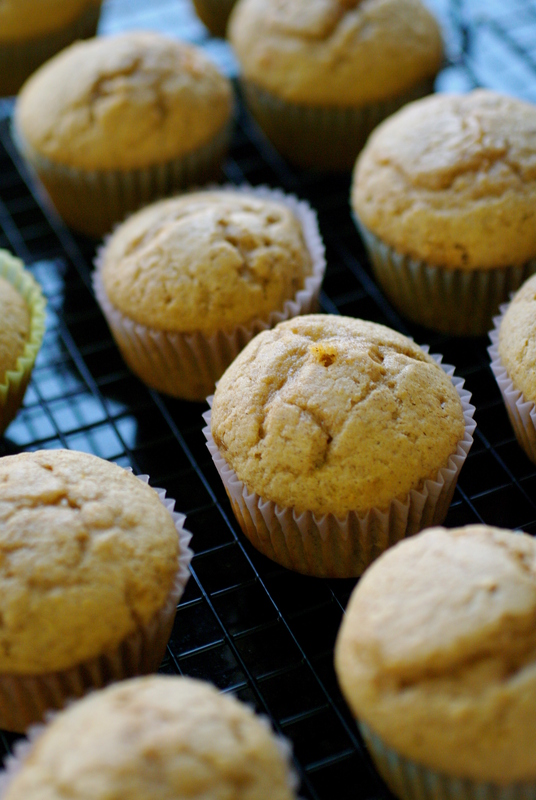 I glanced at the recipe to make sure I had the ingredients, made out my grocery list and crafted the story behind the muffins based on the pumpkin picking I did a few weekends ago. It was not until I was washing off the potato last night that it occurred to me that I was actually making sweet potato muffins instead of pumpkin ones. How’s that for the power of suggestion (or my ability to kid (delude?) myself)? Even though I bought sweet potatoes, I still had it in my mind that these were all about the pumpkin… At least my efforts weren’t totally lost and I actually had the sweet potato. And! I was right about the picture, so my long term memory seems to be fully functioning. I take comfort wherever I can get it. Summer has come and gone and I admit to being more than a little sad about it. I’m really not ready to pull out the fall gear, and the idea of heavy winter anything–clothes, food, boots–makes me a little twitchy. Luckily Heidi of Green Roof Growers is able to help me hang on to summer a bit longer with these lovely (98% of the time!) blueberry goodies and tasty home grown tomato treats. Long live summer! A couple weekends ago Heather came by for a long-overdue visit. I’d already decided on the insanely easy and explicitly French clafoutis [a fruit filled cake] to have for nibbles, along with some gazpacho made with our roof-grown organic tomatoes. I’ve made dozens of clafoutis (it’s one of my favorite sweets) using an equal number of recipes. 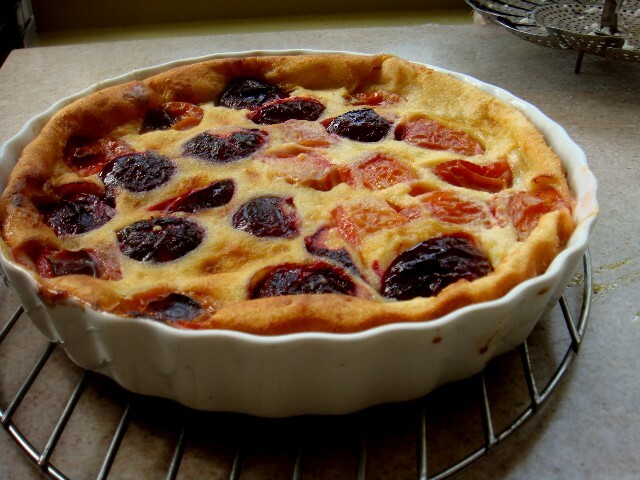 Every time I see a clafouti recipe online I see it as a sign to Make Clafouti. 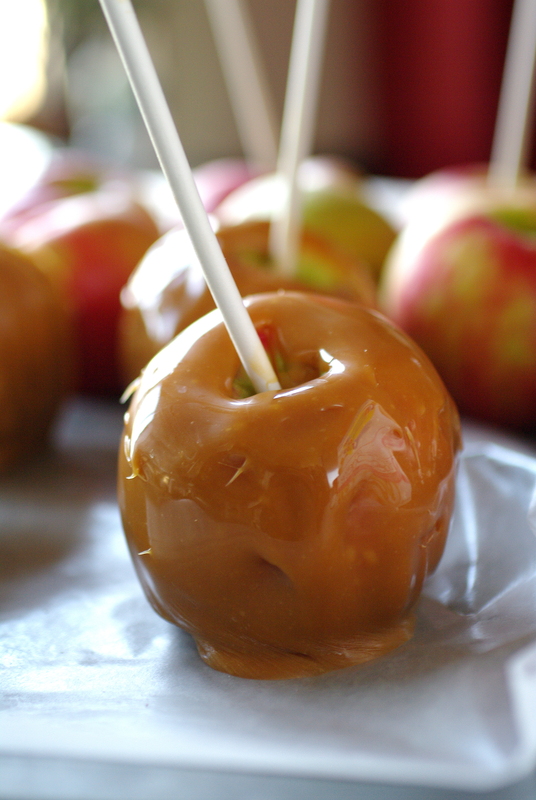 It’s always eggs, flour, milk, sugar, and fruit…but in varying proportions. Frankly, I now skip all recipes that call for preheating the pan and pouring in a thin layer of batter (sorry, Julia), letting it set up in the oven, and then taking it out to receive the fruit and rest of the batter. Who needs this? A couple days earlier I’d made this recipe–with half-plums plopped cut-side down before being bathed in the batter–with a gorgeous finish. I used the very same recipe to make a blueberry clafouti for Heather. And the results were just depressing. There are many ways a clafoutis can look (I dare you to check out this image gallery and not run to the fridge to see if you have enough eggs to make one), but this isn’t one of them. Heather asked what I’d done differently. Well, said I, I used blueberries instead of plums. 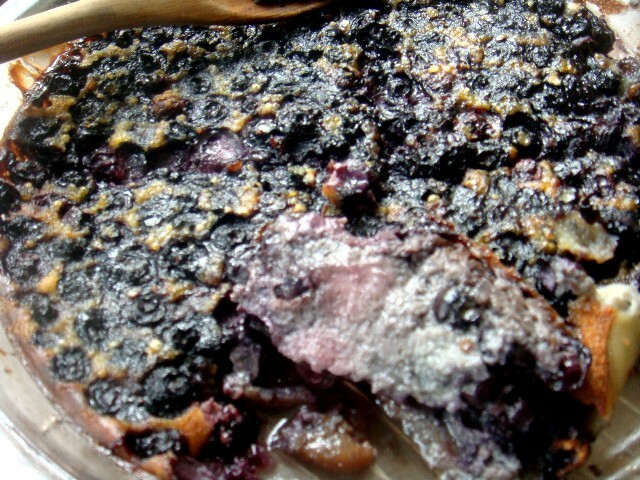 And it was far more humid the day I baked the blueberry. And too late I noticed one of the burners on my oven had stopped working, so it wasn’t up to temperature when I slid in the pan. (Heather is doubled over with laughter at this point.) “Anything else? !” she squeaked out. Well, it was so hot outside and there are so many new restos on our block sucking power away from us that the voltage stream to the oven was compromised (who except my smart boyfriend with a voltage meter knew this could even happen?). Undaunted, I’d also whipped up a couple batches of my favorite blueberry muffins for the folks working our honey harvest the following day. I assure you that this recipe can withstand the vagaries of baking in an uncertain oven…and how can I make that assertion? I baked them in the same under-heated oven (just longer than usual) as the clafoutis. This altered recipe for zucchini bread delivers a 200-calorie muffin that makes people want to eat five, replacing a lot of the high-gluten white flour with quick oats. Two bowls are needed: a large bowl for the wet ingredients, sugar, and oats + a smaller one for the scant dry ingredients and blueberries. Combine the mix well, moistening the oats so they absorb the liquids while you prepare the dry bowl. 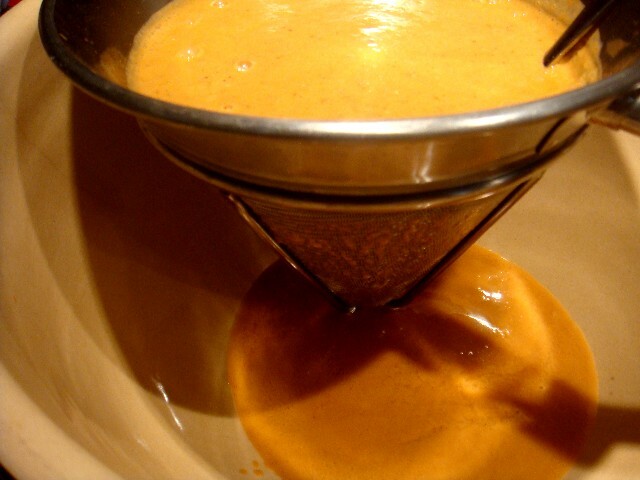 Use a whisk to mix the dry ingredients. Then add 2 heaping cups fresh or frozen blueberries, tossing to coat. 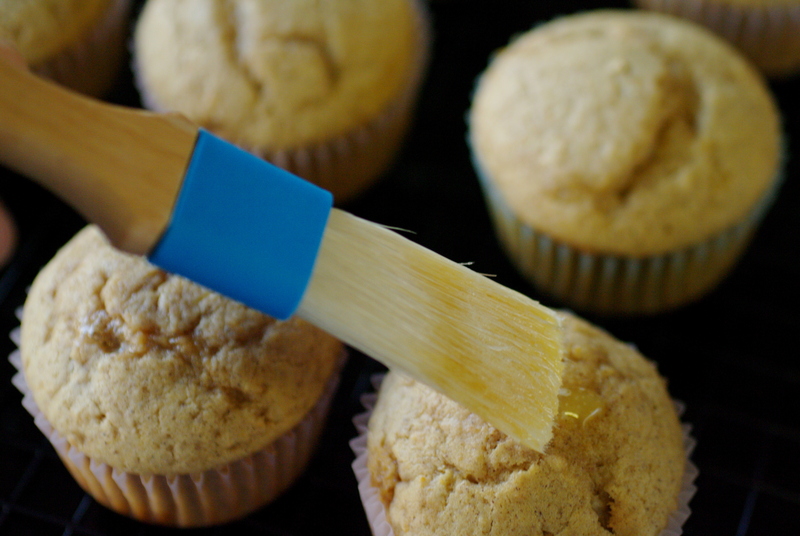 Pour the dry ingredients into the wet bowl and, using a rubber spatula, blend using confident, large strokes. The idea is not to thoroughly combine the ingredients (though if you do this the sky won’t fall), but rather to combine to a point where you still see some dry flour in the mix. 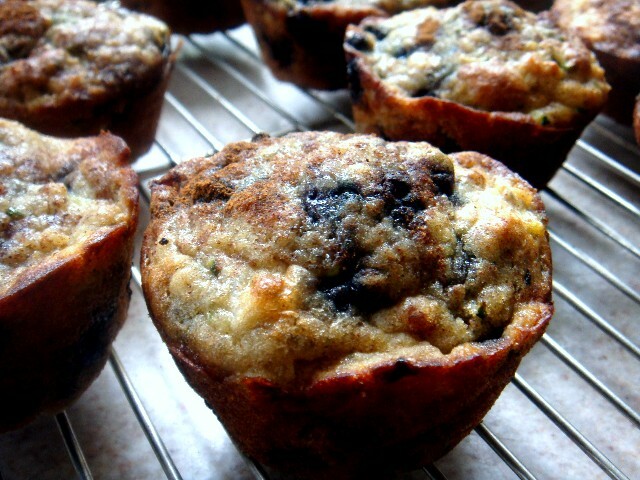 Use a quarter-cup measure to fill the muffin tin. 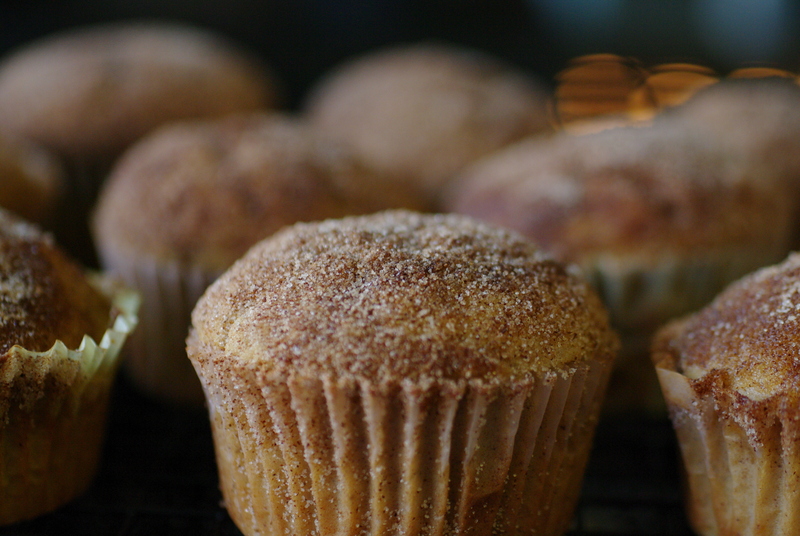 Then shake a little extra cinnamon and nutmeg onto the top of each muffin. 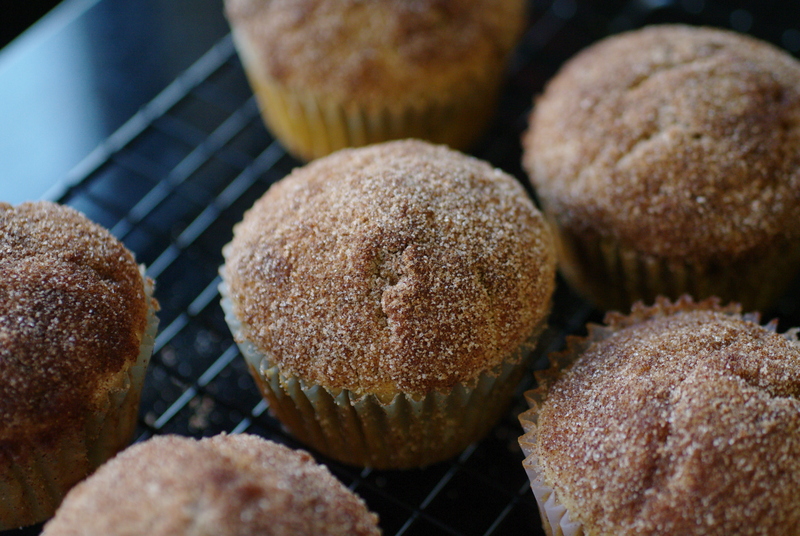 These are not extremely sweet tidbits, so if you like sugar, sprinkle a little on top of each muffin for extra sweetness. Bake @ 375 for 20 minutes or until a wooden skewer comes out clean. Cool on a wire rack for ten minutes or so and then remove the muffins to the rack to cool completely. Meanwhile, the Mark Bittman Gazpacho was coming together. I realized too late that Heather has had her issues with Bittman (something about a chocolate cake? 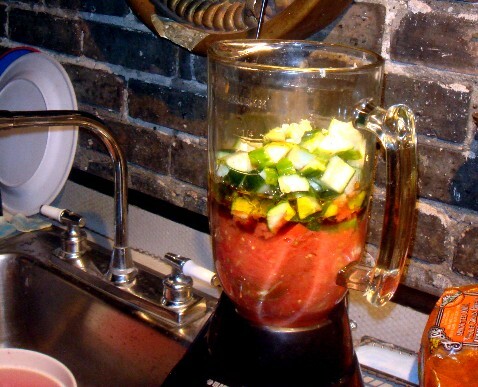 ), but his basic gazpacho is a farmers market girl’s dream. I had the blender half-full when Heather arrived, with extra cukes because I’d bought a bunch at the Wicker Park Farmers Market. Not in the recipe, but we chopped and tossed in handfuls of fresh basil from the window boxes out front and added stale bread (that is part of the recipe). Then we whizzed it up in the blender and strained it all through my new chinoise, a lovely gift from a thoughtful boyfriend (he’s not all about voltage meters). Adjust the sherry vinegar to your palate—we like a little bite. No final photo, but this is the quickest soup you’ll ever make, smooth as silk. If you like a rougher soup, there’s no need to strain. 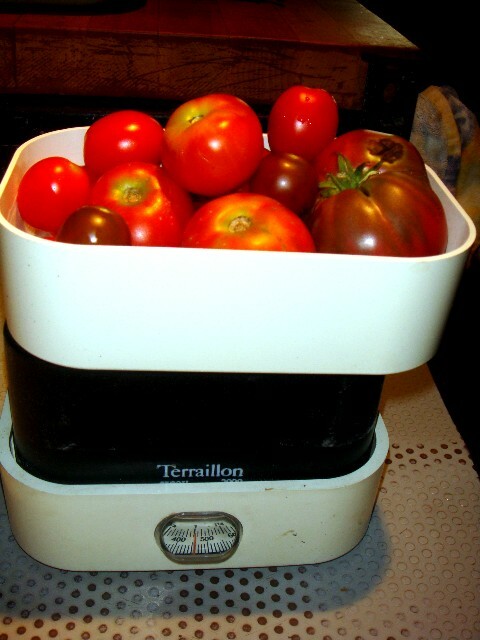 And…if it’s the dead of winter, using canned tomatoes produces an equally delectable result. You know how they say that the road to hell is paved with good intentions? I may as well sign up for a one way ticket to the 7th circle now, because I had the best of intentions this week, kids. I had all the ingredients to make pineapple strudel! And gumbo! And mint brownies! 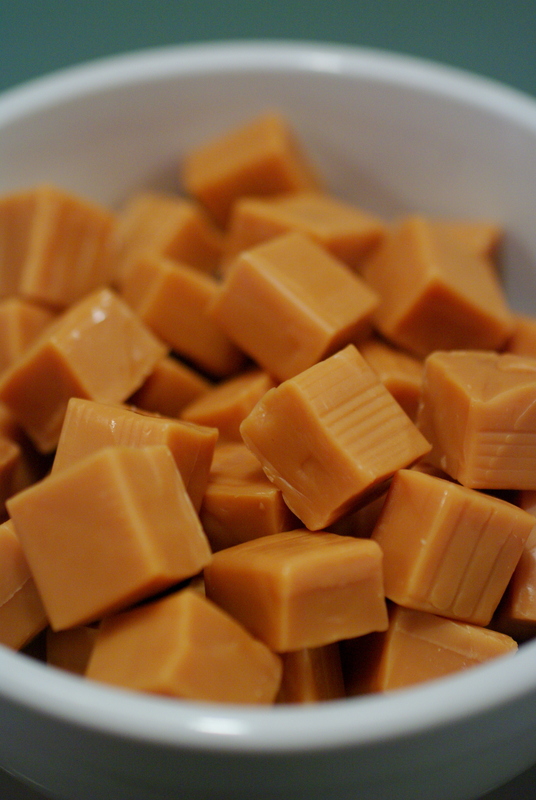 And dulce de leche! And what am I offering you? Nothing. Nothing at all, because even though I had the ingredients and a lot of time, nothing really spoke to me. I wasn’t feeling the cutting and stirring and watching and tasting and picture taking. In fact, I was feeling the opposite of all of that–whatever that is–to the point that I’ve been eating Lean Cuisines and oreos (nice combo, no?) instead of creating tasty dishes for you to try. 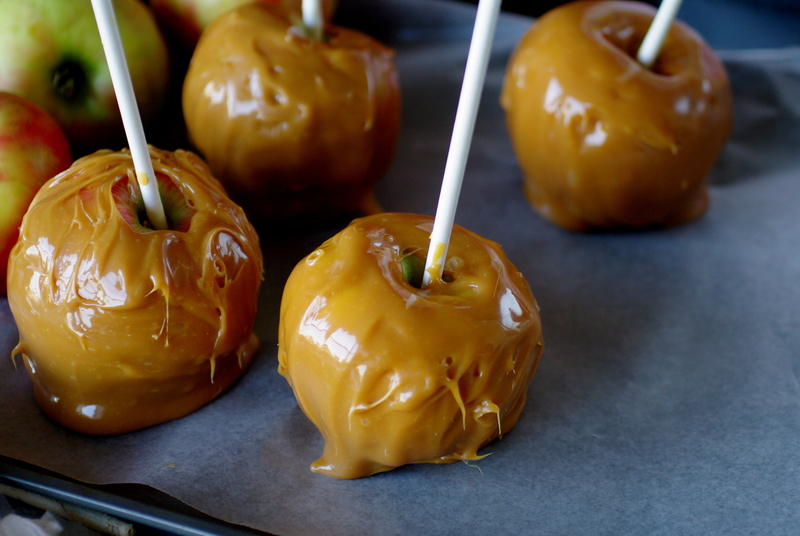 I seriously don’t understand how food bloggers post recipes and pictures every day. Don’t they get bored? Or overwhelmed? Or totally apathetic (all of which I felt this week)? Dear lord, how many ways can you find to describe how you chopped a vegetable or melted butter? And don’t even get me started on the recipes! As I was looking for a way to make pineapple strudel last night (a last attempt to have something to post today; it sounded the easiest), I came upon a pineapple buttermilk ice cream recipe in Joy of Cooking. Easy enough, I thought. Just pineapple, egg white, sugar and buttermilk (although I did not have buttermilk, I figured I could make my own–did you know that if you add 1 tablespoon of lemon juice or vinegar to a cup of regular milk you’d have a buttermilk substitute?). And boy howdy was I wrong. After letting the pineapple/sugar/buttermilk mixture freeze a bit, I was supposed to do something called slow freezing or some such nonsense, where I was to stir the mixture every 1/2 hour until it had the consistency of soft serve ice cream. Who has time for that kind of lunacy (especially since it was already 9pm)? At any rate, while I’m full of cooking ideas and ingredients, I’m lacking in the motivation department. So I’m asking: what keeps you cooking? What gets you excited about being in the kitchen? What are some of your cooking/baking challenges or goals? I promise to be back to our regularly scheduled programming in bit. In the meantime, why don’t you stop by with some real ice cream to go with my oreos? I have a favor to ask: let’s forget that it’s been almost 3 months since this little food blog was updated. Let’s start clean and fresh and full of hope and promise, ok? So, several months ago, I met a charming man we’ll call X. Our first conversation, over dinner with a group of people, centered around food and the things I like to make, wish I could make and know that I’m good at making. Bread, cakes, pies and cookies fall into all of those categories. X promptly invited himself to my house to sample my bread, but I was raised to be a lady and taught never to bake for just anyone. Now, I’m going to pause here to say that I have a hard time not cooking or baking for people I like. Once I like you, as a friend or otherwise, I want to feed you. But, I’ve learned to be a little discriminating. I try not to give up the goodies too soon, just to make sure you actually like me and not my ability to follow a recipe. X became fixated on me making him chocolate chip cookies. Many a late night texting session was spent discussing my reasons why I wasn’t going to bake for him immediately, but how it would be worth the wait. One Saturday evening with nothing to do, I decided I was ready to invite him over to watch me bake and eat cookies straight from the oven. I texted my invitation. The response? “Sorry, hanging out with the guys tonight.” This was likely sign #17 that things weren’t working, but I am not easily discouraged. Weeks later, after much back and forth between us for myriad reasons, I decided that either I was going to bake for this man now or I never would. I mean, at some point you have to take the leap of faith and say that while the situation is not perfect, you’ve invested enough time and energy that you need to push the envelope a bit to see if things can go to the next level. So on the first 85 degree day of the summer, I went to 5 different stores to find brown sugar. I bought Ghirardelli chocolate chips and sifted flour. I cranked my oven up to 350 degrees. I baked 3 batches of cookies so I could pick a baker’s dozen of the most perfect ones. I put them in a container and carted them off to X, hiding them in the bottom of my bag so the burning sun wouldn’t melt them. Oh, don’t get me wrong, he said he loved them. Said they were amazing and awesome and I inferred from his words that my cookies may rate up there with some of the best he’s had. But not a week went by before he looked me dead in the eye and said, “I never promised you anything” and turned his attention to another girl in the bar (and to be completely fair to X, I am sure that he would tell you a different version of what transpired prior to him saying this, but this is (1/2) my blog, so whatever). What I’m about to type is going to cause a stir, I know, because I’ve come to learn that people are passionate about this. I’m not a fan of Italian food. Catch your breath and stop cursing me. Before you question my sanity and unfriend me on facebook, hear me out. It’s not that I don’t like Italian food, it’s that I wouldn’t go out of my way to eat it. It’s not my first choice of cuisine when deciding where to go out for dinner, but if it’s chosen for me, I’m ok with it. I am a lover of cream sauces and slow cooked meats and roasted vegetables and wine reductions and butter and while I feel like I should be able to get all of these things with Italian food, it never seems to live up to what I expect it to taste like and I always end up adding salt and pepper—which is something I rarely do in restaurants—in the hopes of making my mouth as happy as my eyes and nose (because, really? what looks better than a plate of steaming pasta and smells better than sautéed garlic and onions?). Maybe I have been completely spoiled by French food, but I always feel like something is missing from Italian dishes and whatever that thing is stops me from really enjoying them. And before you ask, yes, I have been to Italy and yes, I have been to wonderful Italian restaurants in Chicago and New York (and I’ll tell you that the best Italian meal I’ve ever had—especially the meatballs—was in Pittsburgh). Judge me if you must, but there you have it. Given all of this, I am not sure what would possess me to decide to make lasagna for a couple of friends last week. There are only two things that could remotely pass for Italian that I’ve made in my kitchen: focaccia and pesto, both of which I learned to make in college. Back then pesto either didn’t come in jars or we couldn’t afford it, but now that Trader Joe’s and Whole Foods have an entire line, there’s really no need to buy a bushel of basil when a pesto craving hits. Anyhoo. 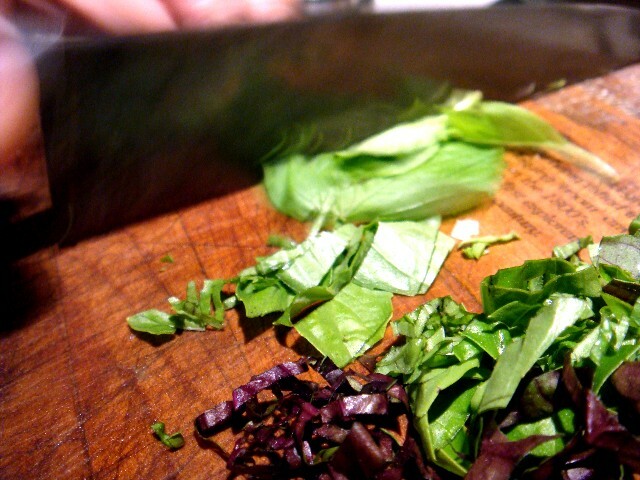 I got it into my head that I really wanted to make a pesto lasagna for a simple dinner while catching up with friends. I figured that lasagna would be easy and hearty and the pesto would be a bit of Spring on a cold February night. Um…yeah. All I could think about as I debated between no-boil and regular lasagna, realized that I didn’t own a pot large enough to boil an entire package and had to do three different batches, scalded my fingers as I tried to lay out and trim wet hot noodles and squeezed water out of mozzarella balls is that I was right for only eating Stouffer’s lasagna before, because it is hard to make and ungrateful and unrelenting and so not worth it. I remember the very first time I ate hummus. It was 1992, salsa was just making its way out of the “ethnic” food aisle, and my sister’s boyfriend (now my brother-in-law) had whipped up a batch of a strange garlicky mush called “hummus.” I loved it then and have not stopped loving it since. However, after the novelty wore off, I turned out not to be such a big fan of tahini, the goopy sesame paste that is a key ingredient in most hummos recipes. In a renegade move (some might have previously called it maverick), I cut out the middle man by eliminating tahini entirely from my recipe and using toasted sesame seeds instead. Though totally unorthodox, using sesame seeds instead of sesame paste adds texture and flavor without compromising sesame goodness. Even my husband, a picky Middle Easterner and serious hummus connoisseur, approves of my new version. Hummus is a perfect appetizer for holiday parties. To give it some extra flare, add a roasted red pepper or some fresh Italian parley before processing or garnish with toasted pine nuts. Serve warm or at room temperature, drizzled with olive oil and paprika, preferably accompanied by fresh, warm pita. All of the cooking shows on television give me a false sense of actually being able to cook. I have a habit of thinking that in my own kitchen I can try a recipe once and then can tinker with it and play around with ingredients and it will come out better than the test kitchen version. I do it all the time, to varying success, and it’s the few times that I actually like what I’ve created that keep me going. This year’s Thanksgiving dessert was not one of those times. Several months ago, I tried for the first time a recipe from Nigella Lawson for a chocolate pot, or petits pots aux chocolats. It is a richer version of a chocolate mousse that is ridiculously easy and super delicious—creamy, a little spicy due to the allspice and dense in chocolate flavor, kind of like eating a bowl of the inside of a truffle. I only made it once, tucked the recipe away for future reference and quickly forgot about it. Enter Thanksgiving dessert. My standby pie is a pumpkin pie brulée—basically pumpkin pie with a caramelized sugar topping. Over the years it has given me enough trouble that I was ready to try something new. As I was shopping for ingredients, Nigella’s chocolate pots popped into my mind. 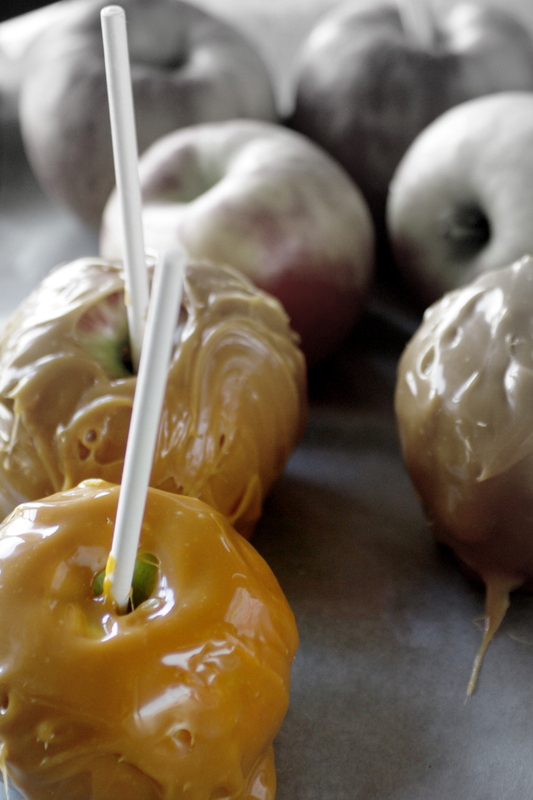 Why not substitute the pumpkin for the chocolate? A pumpkin mousse would be the perfect way to finish off a heavy dinner, right? I followed her recipe exactly, except I used the spices I would normally use for a pumpkin pie—cinnamon, nutmeg, ginger, allspice. I thought, fleetingly, that there may be something that solidified the chocolate version that may be lacking in the pureed pumpkin I was using, but my knowledge of these principles is so limited it’s basically non-existent. I whipped everything up in the blender, poured it into a serving bowl and put it in the refrigerator overnight. The next morning, the day before Thanksgiving, I take it out and it hasn’t set. It is still the liquid that I poured from the blender close to 15 hours earlier. At that point, I was not only screwed, I was really annoyed. I had no desire to actually make another pie—I still had stuffing to make—and for the love of all things good, how did I screw up a recipe for mousse that had six ingredients? So I did what any would-be chef would do: I pulled out four different cookbooks and combined recipes for custard, mousse, pastry cream and crème brulée. You see where this is going, right? I ended up adding two more egg yolks, flour, powdered sugar and corn starch to my liquid pumpkin in a saucepan and whipped it until it had thickened. In my mind, I would throw it into ramekins when it had cooled, caramelize the top and call it a crème brulée custard. Yeah, not so much. The flavors were all there, it tasted like pumpkin pie filling, but two tiny tastes as I poured it into the ramekins hit my stomach like a quarter pounder with cheese. The flour and cornstarch had made it super heavy, exactly the wrong consistency for mousse, custard or crème brulée. I couldn’t ruin a lovely Thanksgiving dinner with this dessert. Lucky for me, my previous mishaps in the kitchen have taught me to always have a back up. In this case, the original chocolate pot. Not exactly the traditional holiday dessert, but better than Oreos.